Veriditas is pleased to announce a second webinar in its ongoing higher education series, “Campus Labyrinths: From Idea to Reality” with expert Dr. Jan Sellers. She will be reflecting on her comprehensive book, co-edited with Bernard Moss, Learning with the Labyrinth: Creating Reflective Spaces in Higher Education. Jan will introduce us to a wide variety of labyrinth initiatives, some modest and some more elaborate, that include students, faculty and staff in a range of endeavors across the curriculum. This is a free webinar but requires registration. It will be recorded and the link will be sent to anyone who registers and will be posted on our website. Dr. Jan Sellers is a Quaker, writer, educational developer and freelance lecturer, with a passion for working with labyrinths. She is an experienced and trained facilitator of labyrinth events. Jan’s professional background is in education and guidance. She has worked in universities, colleges and schools and in not for profit adult education here in the UK and in the USA. Jan worked at the University of Kent from 1993 where she established the Student Learning Advisory Service and more recently developed and supported creative campus initiatives on the Canterbury and Medway campuses. In 2005 Jan was awarded a National Teaching Fellowship for her work in student development at the University of Kent. 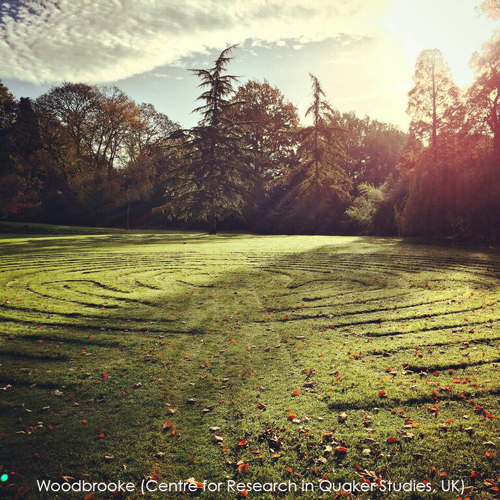 This enabled her to create the University of Kent’s Labyrinth Project in 2007, leading to the construction of the beautiful Canterbury Labyrinth on the Canterbury Campus. Jan has since supported colleagues at a number of universities and other organisations to create their own Labyrinth Projects. Learning with the Labyrinth: Creating Reflective Space in Higher Education (Jan Sellers and Bernard Moss, eds), 2016. London: Palgrave Macmillan. Working with the Labyrinth: Paths for Exploration (Ruth Sewell, Jan Sellers and Di Williams, eds), 2012. Glasgow: Wild Goose. Now retired and working freelance, Jan understands the labyrinth as a beautiful and tranquil resource, an opportunity for quietness, for reflection and for stillness in this hectic life.